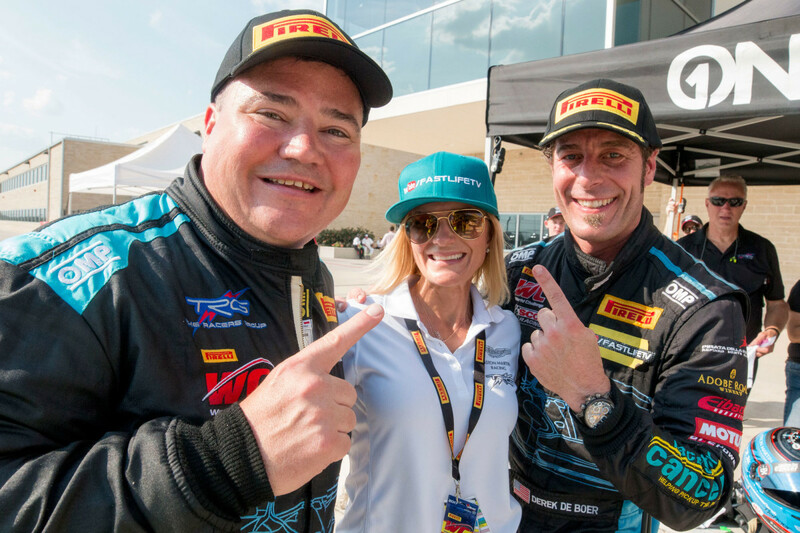 The Racers Group collected not one, but two first-place trophies over the weekend at Austin’s Circuit of the Americas, as Derek DeBoer and Sean Gibbons were victorious in the last two Pirelli World Challenge SprintX races of the year in the No. 09 Frog Design | BRM Chronographes | AutoLeadStar | Castrol | FastLife TV | TRG Aston Martin GT4. It was a weekend of firsts as Gibbons notched his first ever professional victories in only his second PWC appearance and DeBoer climbed to the top step of the podium for the first — and second — times this season. 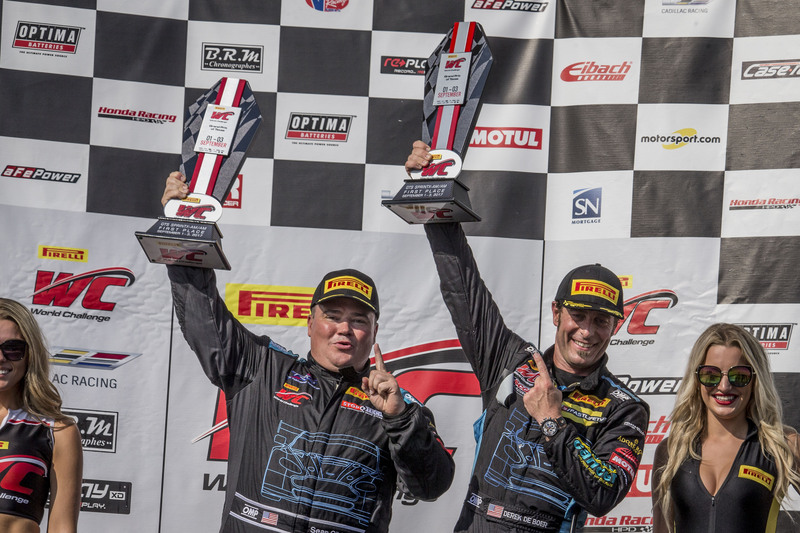 DeBoer, with 94 total SprintX GTS Am/Am points secured a tie for second place in the overall drivers’ championship. The wins capped an amazing weekend for the team that began with Craig Lyons and Kris Wilson putting their No. 03 Stor-it | Mobettah | TRG Aston Martin GT4 on pole during Saturday’s qualifying. 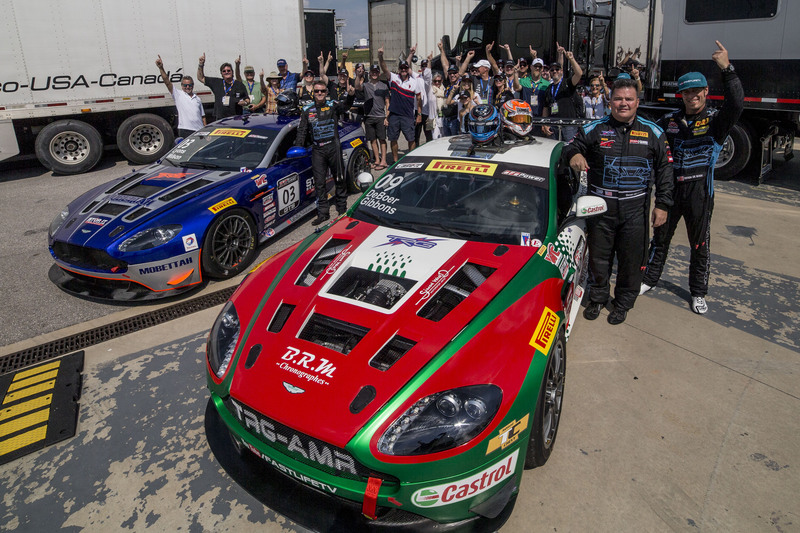 Both Aston Martins were quick at COTA, a circuit at which TRG has seen much success, and so expectations were at the redline and they started from the front row in class. But the races weren’t easy victories, as both DeBoer and Gibbons overcame many challenges to cross the finish line in first place. That made the wins only sweeter for the team and the results Saturday and Sunday were a great way to finish, as both wins delivered a wonderful reward to a team that knows it can never give up and always gives 110 percent. 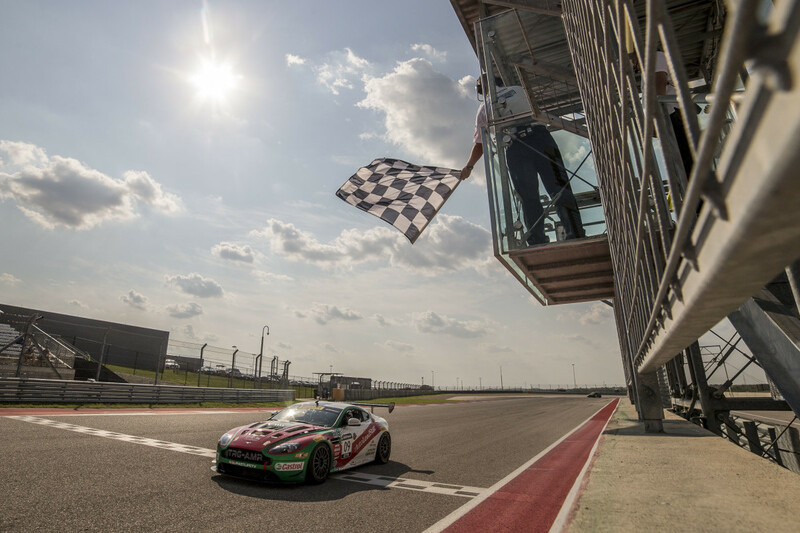 The race at Circuit of the Americas was also a home race for new sponsors Frog Design and TRG was thrilled they were on hand to witness the fantastic effort. Learn more about joining TRG at their next races by visiting theracersgroup.com/events. Next on the PWC schedule is the Grand Prix of Sonoma, September 15-17. 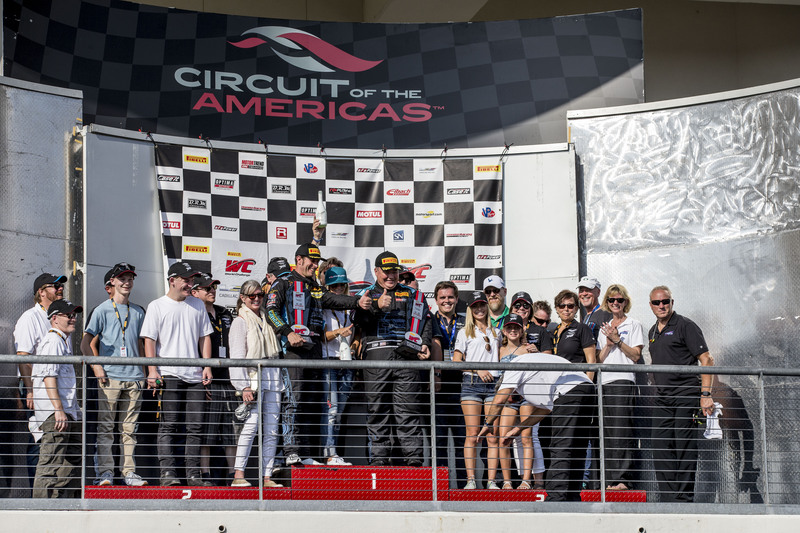 Watch the COTA SprintX race broadcast on CBS Sports Network, Sunday, September 10 at 3:30 pm ET.